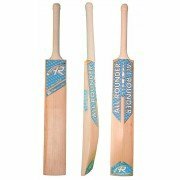 Cricket bats are generally made from willow (salix caerulea) which is one of the softest kinds of wood available in the world. 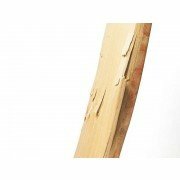 Every piece of wood in your home, is likely to be much harder, stronger and tougher than the wood that makes cricket bat willow. 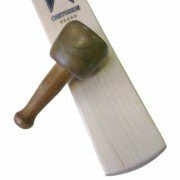 The reason cricket bat willow is most suitable for cricket bats is that it has a light, fibrous, nature which provides natural resilience and durability to the bat. 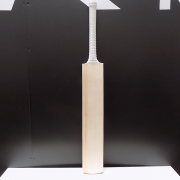 After the drying of the willow cleft to produce the optimum moisture content for the bat's durability, it is then roughly shaped and the handle fitted to the bat. The final shaping and balancing of Spartan Cricket items is performed by master bat craftsman making this a very specialist art. The natural soft willow cleft for use in the game has to be pressed during manufacture. Huge downward pressure is applied mechanically to the face and edges of the bat by running it beneath a roller that compresses the fibres together, strengthening the wood. The pressing element is regarded as the most important process in the production of a cricket bat. The skill, experience and knowledge of the bat maker determines the amount of pressing" that is needed to be applied to the products. The best performance generally comes from a lightly pressed bat. However, a softer pressed bat will be much more likely to sustain damage and cracks than a harder one. A hard pressed bat has greater durability but is weakened in performance. The expertise of the bat maker is used to try and strike a fine balance between durability of the bat versus performance against a cricket ball. In general it is the more expensive bats which perform better but of course they do not always last as long as cheaper bats. 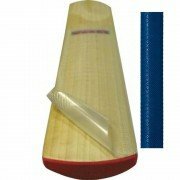 It is always important to remember that all bats can damage and break whether they are hard or soft pressed., This is due to the aggressive nature of the game and this can happen with most cricket accessories. When a cricket ball is bowled at speeds of 70mph and upwards against the force of a swinging bat, bats are always susceptible to some form of damage. 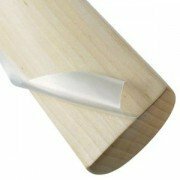 Most damage to bats occurs on the toe, edges or splice and can be repaired. 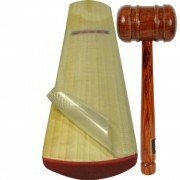 Damage to a bat does not mean the bat is faulty and is often just a case of the nature of cricket bats and the game of cricket.